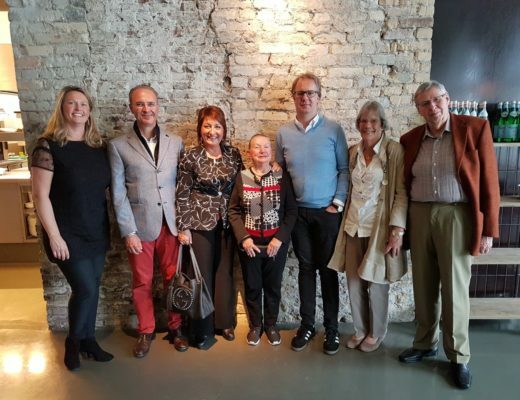 On 26 April 2018 I (Harry Knipschild) visited Record Industry for the second time, this time for an interview with Ton Vermeulen, who owns the vinyl factory together with his wife Mieke. Ton Vermeulen was born on 26 February 1964 in the town of Badhoevedorp. It was the year the Beatles and the Rolling Stones had their big international breakthroughs with singles like ‘I Want to Hold Your Hand’, ‘Can’t Buy Me Love’, ‘A Hard Day’s Night’, ‘Not Fade Away’, ‘It’s All Over Now’, and the previously mentioned ‘Little Red Rooster’. In the same year, both groups gave shows – the Beatles, three times (in Hillegom and Blokker), and the Stones, a relatively short performance in Scheveningen. Ton heard his first pop music in the Top Pop era. He didn’t have a rebellious musical taste. At home they had LPs like ‘Alle 13 goed’ [‘13 Good Songs’] (Phonogram) with popular tunes. Thirteen songs for ten guilders. The first records he was allowed to buy in the 1970s were singles by The Sweet (‘Poppa Joe’, 1972), Middle of the Road (‘Sacramento’, 1971), Tony Christie (‘Is This the Way to Amarillo’, 1971), and The Osmonds (‘Crazy Horses’) that he saw in the AVRO television programme ‘Een van de acht’ [‘One of the Eight’], presented by Mies Bouwman (1929-2018). Together with one of his cousins, he visited the traditional Queen’s Day (30 April) ‘free markets’, where large quantities of old 45s were being sold for a guilder or so each. Cousin Peter was a hard bargainer. Ton saw that someone had several hundred singles on display. When the seller wasn’t prepared to lower the price, his cousin offered to buy the whole lot in one go for half a guilder each. After some hesitation the seller agreed, to Ton Vermeulen’s surprise. The two went home with a mountain of vinyl. Disco took off during the 1970s. Lots of singles were now being brought onto the market in two formats: first, as the usual 45. But also – and this was a new development – in the form of a 12-inch record that contained a longer version that was especially suited to dance to. These large vinyl discs with only one number on the long A side were bought not only by ordinary consumers, but also by bars and restaurants and the discotheques that were flourishing in those days. For the record industry, the 12-inch record was an interesting means of generating additional revenue. These kinds of records made it to the charts relatively easily. If I’m not mistaken, Gloria Gaynor was either the first or one of the first artists to break through that way from New York. Gaynor’s ‘Never Can Say Goodbye’ became an international hit in 1974. More artists followed this trend. In 1975, Donna Summer made a deep impression with ‘Love to Love You Baby’. Lengthening popular singles was actually not new. During his club activities, Dutch DJ Felix Meurders had already learned you could stretch music endlessly if you fiddled around with two copies. On the radio, you could shorten a single you didn’t like in the same way. In 2011, Felix told me he did this when presenting the hit parade with popular Dutch-language repertoire. During his school days (senior general secondary education (HAVO)) Ton Vermeulen fell under the spell of black disco music, especially the 12-inch versions. In 1979, he purchased one of these large discs with his own pocket money: ‘Knock On Wood’ by the American singer Amii Stewart, a disco version of Eddie Floyd’s soul hit from 1966. That record had a lasting influence on his musical taste. 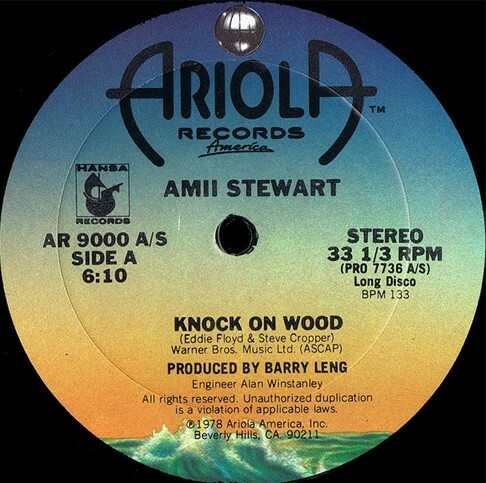 On the internationally oriented website of Record Industry you can read the following: ‘The first record I bought with my own money was a 12-inch record by Amii Stewart, “Knock On Wood”. Although my budget was limited, more records followed, such as a great live album by Gary’s Gang. In the late ’70s, disco was the thing. I loved it very much’. When talking about disco, Ton meant black music in particular. I asked him whether back then he had aspired to become a professional in the record business. Not at all, he answered. Music was just a hobby, nothing more. And Ton also had another interest: animals. Since childhood he’d been bringing animals home: cats, salamanders, birds, and the like. He often helped out at the local pet store. Maybe he could earn a living doing this later on, he thought to himself. Music started to play an ever greater role in Ton’s life. Peter Sloothaak, the cousin he used to accompany when he combed the markets looking for second-hand singles, was able to get him involved with Radio Klasse in Amstelveen, one of the many illegal pirate radio stations that were mushrooming in and around Amsterdam. Despite – or maybe because of – their popularity, these broadcasting stations were often tracked down, stripped of their equipment, and taken off the air. Ton’s activities extended beyond his work on the air. He was also active in his birthplace of Badhoevedorp, where, with his stack of records, he managed to get hundreds of young people to dance to his favourite music. Discovering new music was of ongoing importance. His searches brought him to record shops that had specialised in imports like Attalo, Monopol, Music Centre, and Rhythm Import. He also went to see how other DJs did things. He arrived at the Amstelstraat in Amsterdam – at Flora Palace, a cinema famous for showing Disney films. Flora Palace had been put to a new use. On the current website you can read that ‘In September 1980, Flora Palace opened its doors. Long before this date, lines of children stood before these same doors every day to buy a ticket for a Disney film in the quiet old Flora Disney theatre in the Amstelstraat in Amsterdam. Some years later these same small children were standing in front of the same box office and at the same doors to buy a ticket to let loose on the largest dance floor in Amsterdam. Whipped up by a pumping bass and an endless supply of dazzling decibels, the audience went wild. Flora Palace was large, high, cool, trendy, and absolutely impressive. The music was incredible and innovative! 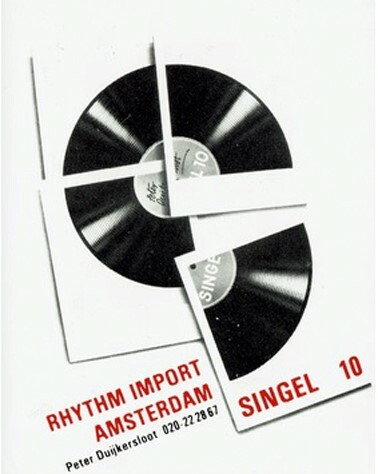 DJ Peter Duijkersloot, owner of Rhythm Import, was Ton Vermeulen’s great example. ‘His music was simply spectacular, and had often just arrived from the US. Before going to work on Saturdays, Peter would drive to the airport to pick up the latest imports and then quickly listen to all these records again in the dark room behind his shop’, according to the Flora Palace website. The layout of Flora Palace was the same as the layout of the trendy discotheques in New York. Duijkersloot stood on a scaffold high above the dancing crowd, and presented the music without the sometimes long introductions you got from radio DJs. Every week Peter Duijkersloot put together the Rhythm Import Top 50. Ton Vermeulen used this as the basis for his own activities in Badhoevedorp and at Radio Klasse. Ton Vermeulen had to serve in the army, but was not cut out for it. After some weeks he was once again an ordinary civilian and found himself looking for a job. Ton got the chance to run a pet store on the Gelderlandplein in Amsterdam, but this was not a success. He had discovered earlier he was allergic to some animals. He also discovered that animals had to be fed every day, also during the weekends and holidays. 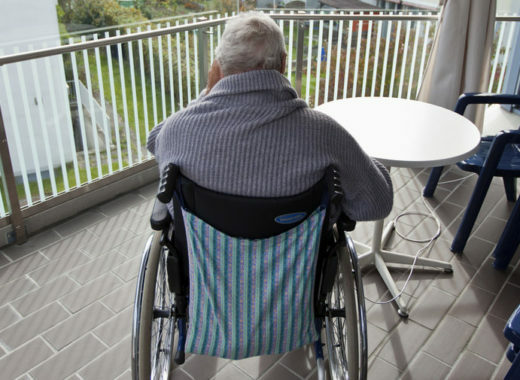 After a short time he knew he wasn’t destined to continue living this way. In fact, Ton had to start a totally new life. He decided to study IT and became a programmer, first in a permanent position with a company, and later increasingly as a temp and freelancer, and went on to start his own business (through Datapool). One of the people who inspired him was Eckart Wintzen (1939-2008), for whom he also worked. Ton knew how to use his newly acquired skills for his musical activities. For example, he set up a system for Rhythm Import that the company could use to place orders using the fax machine, which in those days was a new way of communicating. Maybe without noticing it himself – and according to him, he didn’t aspire to this back then – he entered the music business step by step. You can read about him on the Record Industry website: ‘Rhythm Import grew rapidly. At first it was just a tiny store. Then it became a distributor. After a while a bigger office space was needed. I was already studying to become a programmer, which came in handy when the company needed to be automated. Everything took off quite fast from then on. I was involved with other radio stations, such as VLOH Radio in Haarlemmermeer and Decibel in Amsterdam. 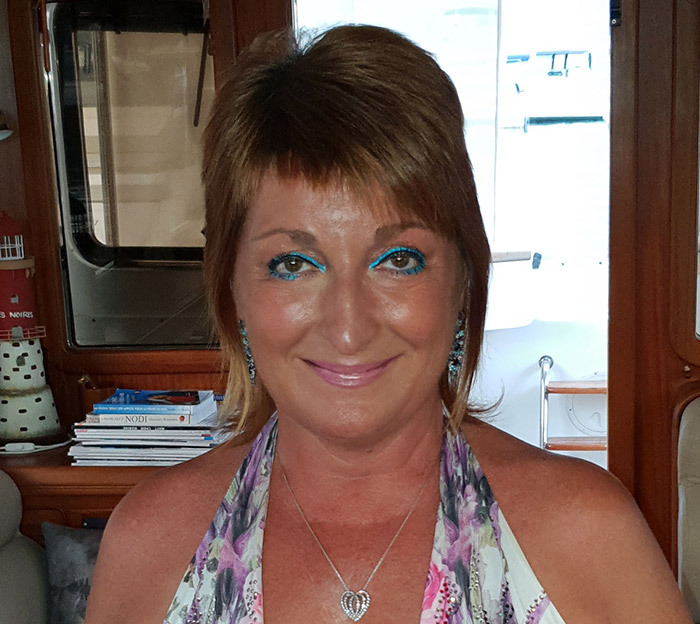 I began managing artists, taking care of everything, from checking their contracts and booking gigs to making sure they got to the venue in Leeuwarden in time. These were hectic times’. One act that Ton took under his wing was the trio Tripple Pleasure. 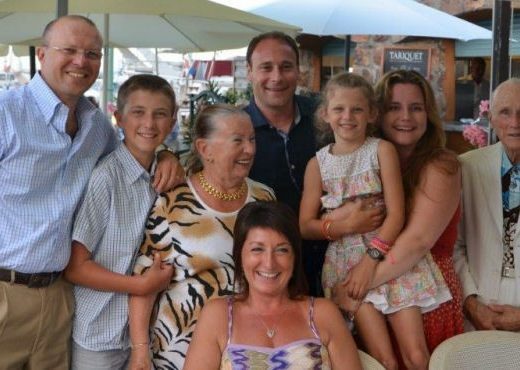 He got to know one of the three lads through his mother, who worked at security at Amsterdam’s Schiphol Airport. With Tripple Pleasure, in 1987 he found his way to producer Jacques Zwart, Studio Wisseloord, and the record company Dureco. One thing led to another. Soon he had his own label, Fresh Fruit, and in 1994 he even had his own record company, Touché Records. Ton Vermeulen, who continued to work as a programmer, found a partner in Marcel Nothdurft. They became co-owners of the small company Mox Music, which they founded themselves: ‘I met Marcel Nothdurft, an old friend from VLOH Radio, at a disco night. We got talking and it appeared that Marcel was doing something similar to myself, so we decided to join forces. We had some good years. 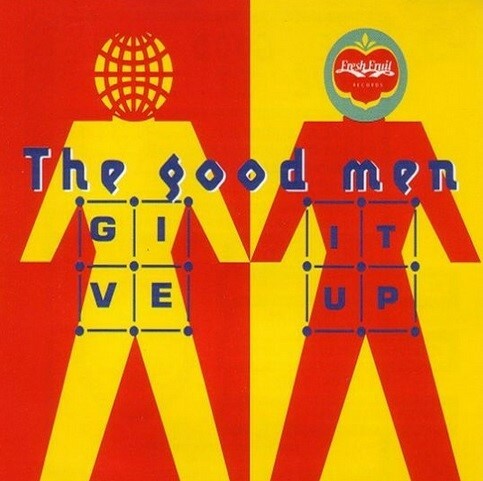 One of our biggest successes was “Give It Up” by The Good Men, which was a project of the producers DJ Zki and Dobre for whom we run their management. It was released on their own Fresh Fruit label, and got high in the charts everywhere. Marcel Nothdurft and Ton Vermeulen reached the same conclusion as Ger Oord did in 1948: to sell records, you had to have them. But it wasn’t always so easy to have records made. 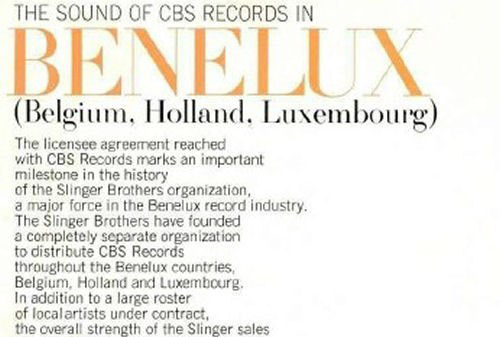 After the introduction of the compact disc and its overwhelming success, the international record concerns increasingly abandoned the manufacture of vinyl records. EMI (which bought Ger Oord’s Bovema) had moved production to Uden in the province of North Brabant. Almost all of the attention of the majors was focused on manufacturing CDs, and they believed that vinyl had no future. 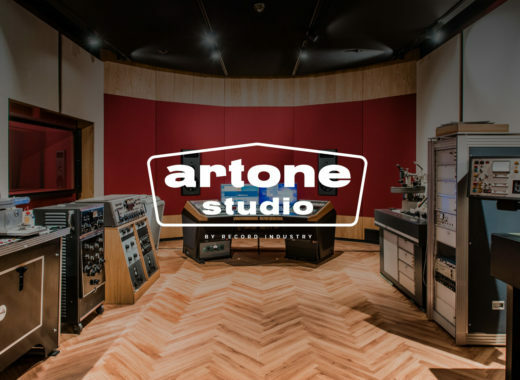 Sony’s factory in Haarlem – Artone’s old international production company that had been established in the 1950s – was, for the time being, a notable exception. More and more, Ton had his 12-inch records made at Sony. 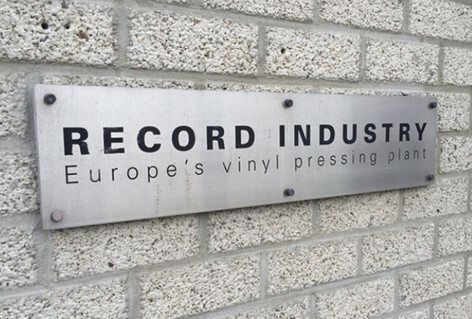 ‘The vinyl was pressed at the Sony Music pressing plant in Haarlem. We were their biggest customer,’ he said about this period in de mid-1990s. And what they did, they did well. ‘I loved working with Sony; they were efficient and delivered great quality’. Apparently, Sony didn’t have much reason to be in the Netherlands. The factory wasn’t there to press records for third parties, but for its own purposes. It was doubtful whether the Dutch manufacturing centre would continue to exist. In the beginning of 1998, the decision was made. The Japanese didn’t see why they should keep their Dutch factory open. According to Ton, Sony had made an inaccurate and pessimistic assessment of the market for vinyl, which they estimated to be around 10 million LPs. In reality, around the year 2000, the demand was approximately 225 million LPs. But it wasn’t all roses. Running a factory took some getting used to. For a start, Ton was less connected to the rapidly changing dance scene than in previous years. For this reason, he and his partner Nothdurft decided to split up the activities by exchanging shares. Ton concentrated entirely on Record Industry. In the future he would do this together with his wife Mieke, who had become bored with her work as an accountant. Ton also had to survive a crisis of confidence among his employees. Was he really the ideal director for such a company? It even got to the point that his employees proposed that the company should be managed by a colleague. In this case, Ton would step back as executive director and only work in the background. But it didn’t get that far, he explained. 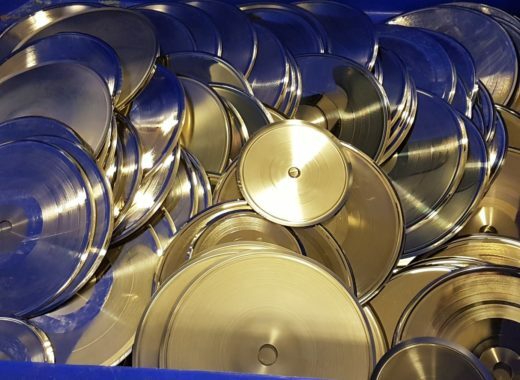 After the start-up period, the vinyl factory picked up steam. But this wasn’t achieved easily. There were fewer and fewer orders, and there was also an economic crisis. Ton: ‘In 2001, we had a terrific year with a production of 7.5 million records; in 2007, this was 5 million, and in 2010, less than 3 million. To compensate for the drop in demand from the multinationals, we actively acquired rights and took the initiative to press and distribute vinyl. But even that wasn’t enough. In the end we had to have a thorough reorganisation. In 2010, our future looked bleak.